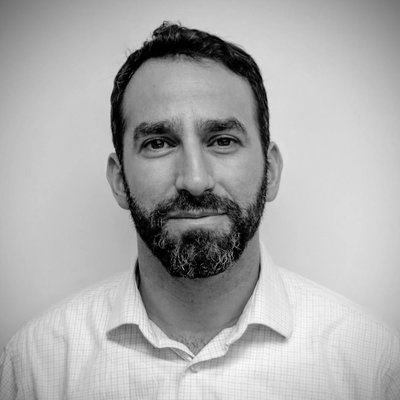 Following a well-worn pattern, The New York Times is again downplaying Palestinian belligerence, this time obscuring the fact that intensive Palestinian rocket attacks against southern Israel prompted a wave of Israeli airstrikes on Hamas site in the Gaza Strip in the last 24 hours. The third and fourth paragraphs detail the Palestinian rocket attacks and the Israeli air strikes, respectively, but still do not indicate that the latter were in response to the former. On the micro level, Kershner notes the military said that one specific strike “hit a vehicle that it said was carrying a squad that had just launched a rocket at Israeli territory.” Nevertheless, there is no indication that Israel’s “waves of attacks against targets across Gaza” was in response to the scores of Palestinian rocket attacks targeting Israeli civilians. Only in the 23rd paragraph (out of 25 total) does Kershner provide a partial chronology of events, beginning with Hamas sniper fire, followed by Israeli tank fire, more Hamas gunfire, more tank fire, then Palestinian rockets. The chronology does not at all mention the Israeli airstrikes, and so again leaves readers unaware that Israel’s airstrikes were a response to the barrage of Palestinian rockets. 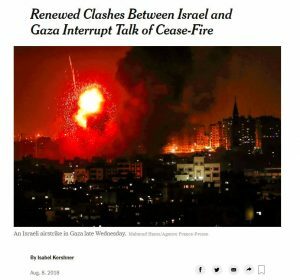 And while The Washington Post‘s opening sentence recounts the events in reverse chronological order it does explicitly state that the Israeli strikes were in response to the Palestinian rockets: “Israel struck more than 150 targets in Gaza in response to a barrage of rockets from the Palestinian territory, its military said Thursday, in a significant escalation even as negotiations took place on a longer term cease-fire” (Emphasis added). Separately, The Times grossly misrepresents Hamas’ ongoing rocket attacks against the Gaza envelope communities with the following claim: “Palestinian fire was mostly calibrated to hit border areas rather than population centers.” In the last several weeks of rocket fire, Hamas did not calibrate its fire to hit only unpopulated areas, as readers are likely to understand from this passage. While Hamas has until a little while ago avoided attacks on larger cities further from the Gaza border, such as Beersheva and Ashkelon, it freely targeted Sderot and other border communities. Some rockets landed in the communities, and many others were shot down by the Iron Dome, which is designed to intercept only rockets headed towards population centers. This post was updated on Aug. 21 to note that paragraphs 23 through 25 of the Times story included some chronology, which did not address the timing of Israel’s airstrikes.